Metal Casting Foundry & Services | Milwaukee Precision Casting, Inc.
Milwaukee Precision Casting, Inc. may be your answer for a quality investment cast, metal casting when your die-casting, powdered metal part, or plastic injection part doesn't have the adequate strength you require. We may be your answer when your sand casting is full of porosity due to trapped gas, or your weldment/fabrication may be cost prohibitive. Milwaukee Precision Casting, Inc. may be able to solve your rust problems with a stainless steel investment cast metal casting. Milwaukee Precision Casting, Inc. furnishes quality investment castings for a variety of other diversified industrial markets as well. 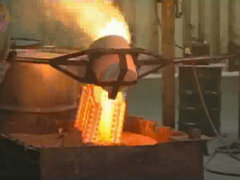 Our investment casting process produces exceptional surface finish and close tolerances of +/-.005" per inch. Send your specifications to us and take our experienced engineering staff to task in eliminating your manufacturing problems and reducing cost. We make it happen. 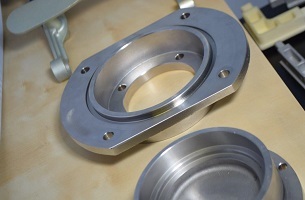 Milwaukee Precision Casting, Inc. - the clear metal casting solution. Please contact us and let us know how we can serve your metal casting needs.